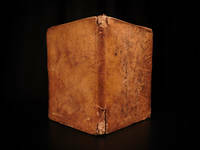 London : Awnsham Churchill, 1682 A good copy of the 1st edition in later full leather binding with frontispiece and 23 full page plates, of which 10 are folding. Leybourn's first work on Dialing was published in 1669; it's popularity (particularly given the use of sun-dials and astrolabes by the navy at that time) led to this expanded folio version, funded by subscription. 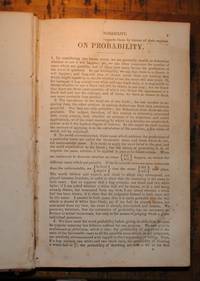 William Leybourn was a leading practical mathematician and authored a number of works on surveying, Gunter's Line and measuring tables. 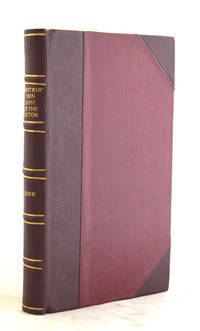 This copy has been rebound fairly recently in a full pigskin binding with raised bands and title and author labels. New endpapers have been added, and the frontispiece relaid and repaired (there was loss to the side edge and a little damage to the portrait). 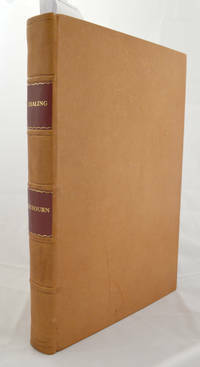 Contents with title page; To the Reader 3pp; Contents of the Tractates [the work is arranged in 11 sections or Tractates] 4pp; errata 1p; Introduction 12pp; text with plates, tables and diagrams 330 pp; finis; final blank. The pagination is erratic but the text is continuous. P119/120 is missing and has been replaced by a facsimile. 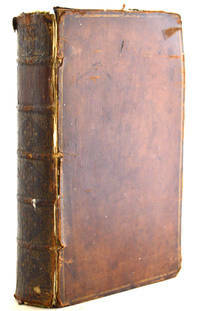 There is some crinkling and loss to page edges, particularly at the beginning and areas of browning/spotting. The plate at p295 has been relaid - with some loss to the bottom margin. There is occasional ink annotation and highlighting. Please ask for more images to fully assess condition.